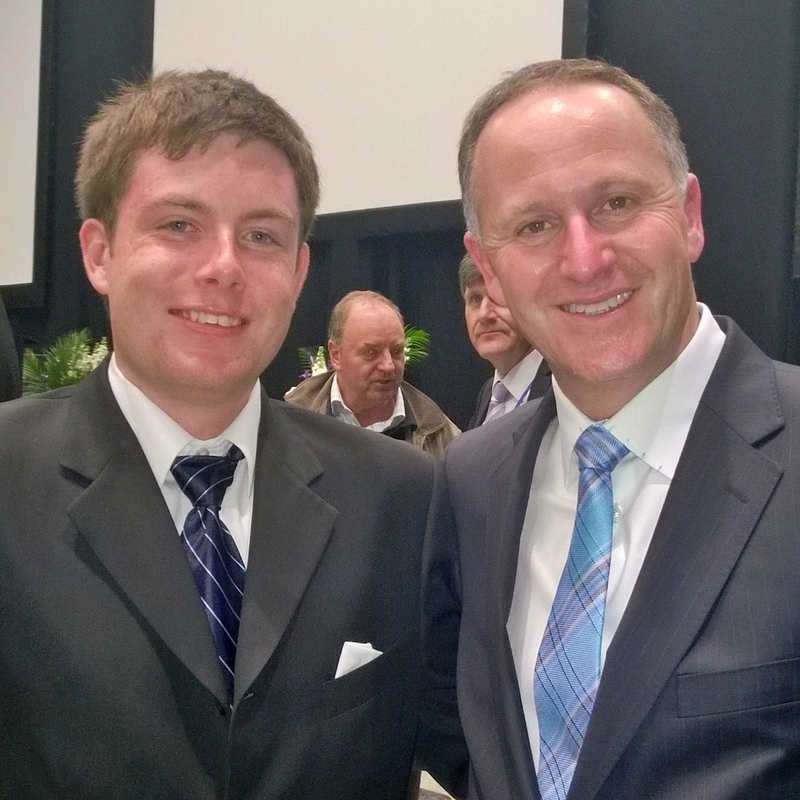 TRIUMPH: Premier Daniel Anderson and New Zealand Prime Minister John Key pose for a photo after the National Party’s stunning victory last evening. Bradford, KR, Sep 21 · Hur 6 – Sirocco is still in party mode following the victory of the governing National Party in the New Zealand general elections last evening, with the Federal Party leading the charge to heap praise upon Prime Minister John Key. National defied political gravity and history to win a third term with an increased vote and seat count, an event that last happened ninety years ago. The increase in seats under New Zealand’s Mixed Member Proportional (MMP) system means that in a 121-seat Parliament, the party has won a majority of 61 seats – the first time this has happened since MMP was introduced in 1996, and only the second time anywhere in the world. Political polls have barely moved since National took office in 2008, and despite the best attempts of the Opposition, as well as investigative journalists and fugitives Edward Snowden and Julian Assange, the party shattered all expectations last night to win an unprecedented victory. 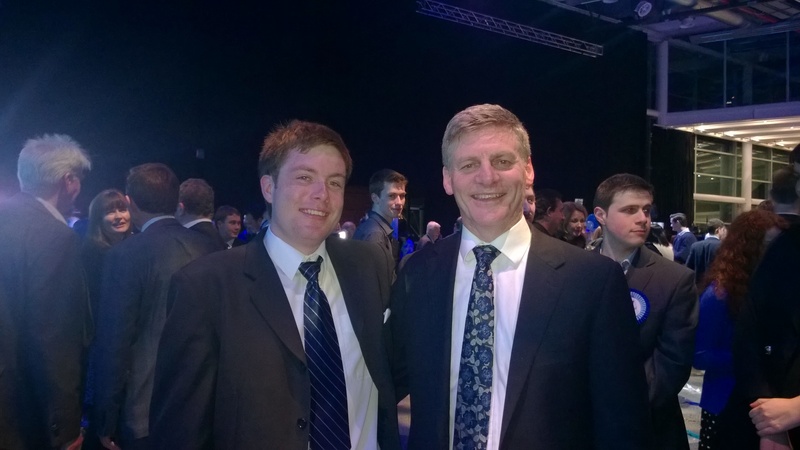 ECONOMIC MASTERMIND: Anderson with Minister of Finance Bill English, who has been lauded for his management of the New Zealand economy through the Great Recession. The Left was routed, with Labour losing two seats and falling to 24.7% of the vote, the Greens dropping to 13 seats and 10.0% of the vote, and Internet Mana disappearing from Parliament following their unsuccessful defence of the Te Tai Tokerau electorate against Labour challenger Kelvin Davis. Labour’s third consecutive defeat, its worst in nearly a century, has left many faithful dizzy with confusion and sorrow, and already there is talk of a leadership challenge being mounted at party leader David Cunliffe, who, in breaking with party tradition, did not tender his resignation in his concession speech. Key took the podium at around 11pm to proclaim victory, with the audience of some one to two thousand cheering and chanting. He thanked the one million voters who cast their ballots for National, and also gave thanks to volunteers and party faithful. He also specifically thanked the Young Nats, the National Party’s youth wing, for their campaign efforts, which prompted an enormous cheer. Key promised to continue to provide a “solid, stable government”, and to work for all New Zealanders, regardless of political affiliation. 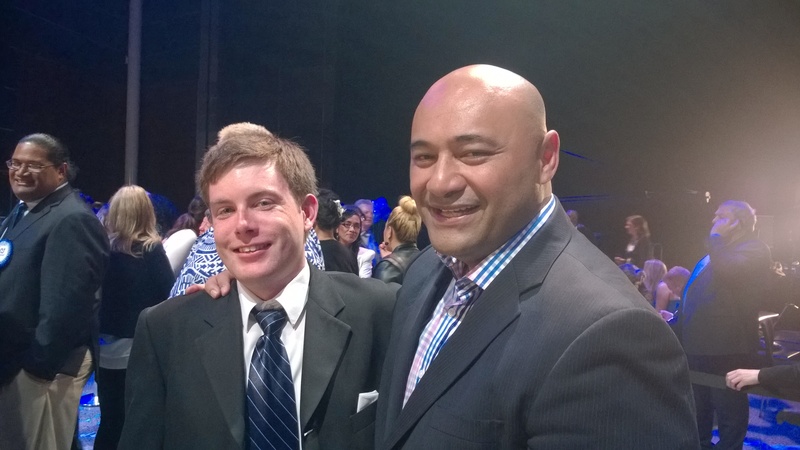 LOCAL AFFAIRS: Anderson meets with his macronational local MP, Peseta Sam Lotu-Iiga, with whom he has done campaigning in the marginal seat of Maungakiekie. 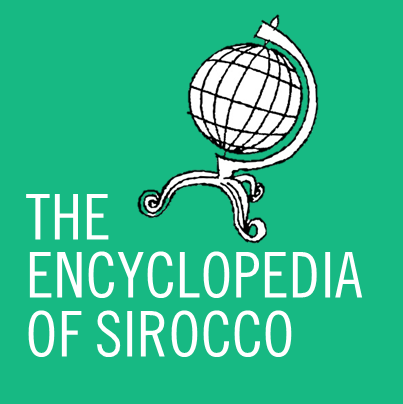 For Siroccans, the night was one of excitement and glee the likes of which has never been seen before. As the evening progressed and the vote count grew, an air of excitement built over the country, erupting into wild celebrations at the end of the night when a National victory was confirmed. Premier Daniel Anderson attended a pre-election function with members of the Young Nats before moving to the Viaduct Events Centre at around 9pm Eastern time for the official party function. Anderson made no effort to hide his emotions as victory neared, with one attendee noting that it was unusual to see the Premier in such a good mood. Anderson commented to media in Bradford this afternoon that it was indeed unlike him, but said that the evening was the best he has ever experienced. FAREWELL: Anderson with outgoing Bay of Plenty MP and Minister of Health Tony Ryall, who has been praised by both sides of the political spectrum for his impact on the health sector. 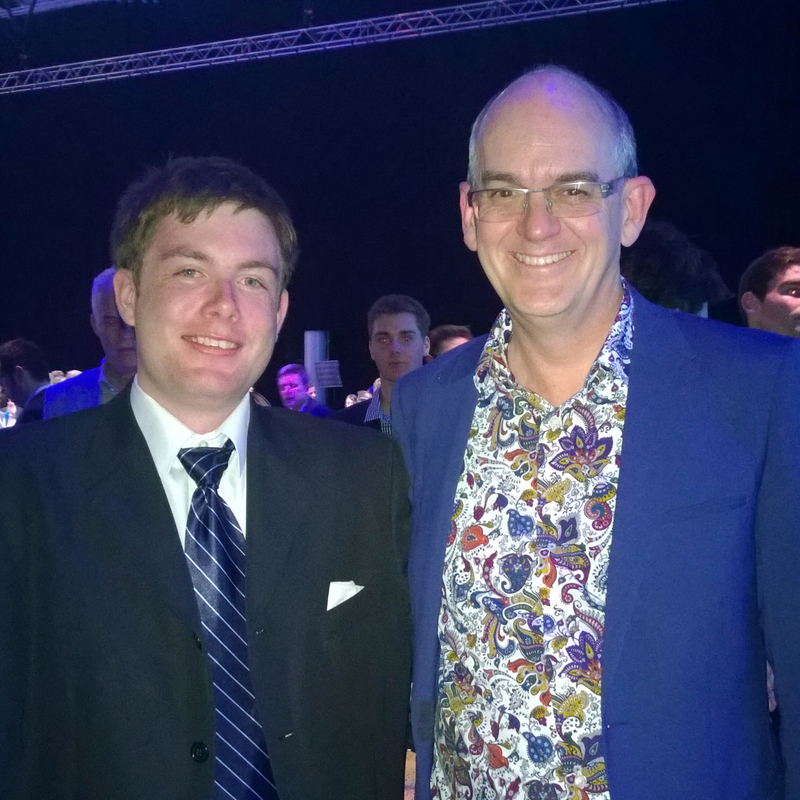 After Key’s victory speech, he and Anderson met for a brief talk and a photo opportunity, with Anderson offering his congratulations and best wishes for the coming term and the 2017 election. Key thanked Anderson for his words, and said that he would do his best. Anderson also met with other MPs during the evening, including Bill English (Minister of Finance, list), Paula Bennett (Minister of Social Development, Upper Harbour), Peseta Sam Lotu-Iiga (Minister of Pacific Island Affairs, Maungakiekie), Maggie Barry (North Shore), Andrew Bayly (Hunua), Alfred Ngaro (list), and Tony Ryall (outgoing Minister of Health, Bay of Plenty). In Alston, too, the mood was of excitement as the tally count rose, with Alstonians tuning in en masse to watch the result. Watching the election night coverage is a tradition in both New Zealand and Sirocco, with both nations stopping on election night to wait for the results. National’s triumph will also put to rest talk of a formal declaration of independence in the event of a Labour victory until at least 2017. While no official position had been made, there was also rumour of a declaration of independence planned for after the 2011 election in the event of a National defeat. Anderson has mentioned in the past that his government “would consider” seceding from New Zealand should Labour come to power at an election. All results are at this stage preliminary, with some 256,000 special votes yet to be counted. The final results are expected by the afternoon of Saturday, 4 October (19 Hurricane).